Preheat an aluminum sheet pan in your oven to 350°F. Slice your potatoes in half on a diagonal and place into a large bowl. Sprinkle with the tablespoon and a half of Cajun seasoning. Toss and spread out onto the hot sheet pan. Place back into the oven for 60 minutes, tossing every twenty minutes. Remove and sprinkle with a little kosher salt and let cool slightly. 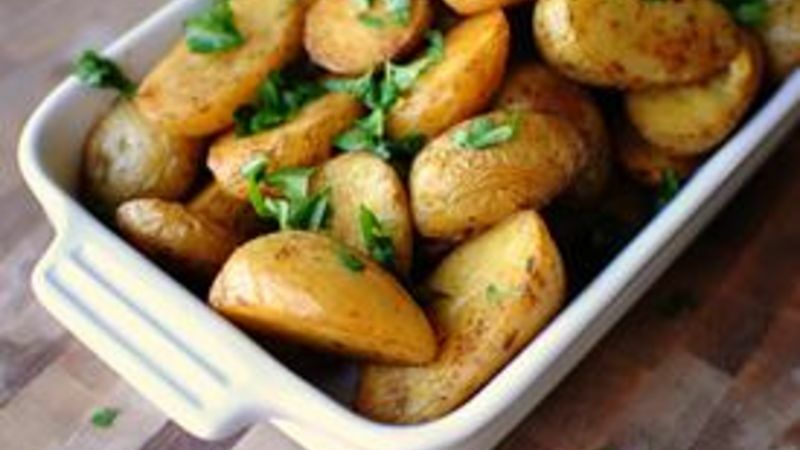 Toss the potatoes with chopped parsley and serve.